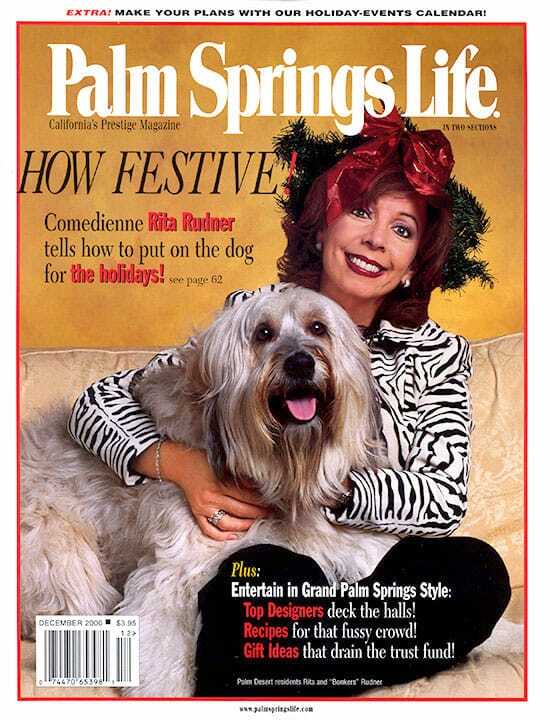 ON THE COVER — Tis the season to remind our readers that Rita Rudner has moved to the desert, with husband Martin Bergman and shaggy Bonkers in tow. 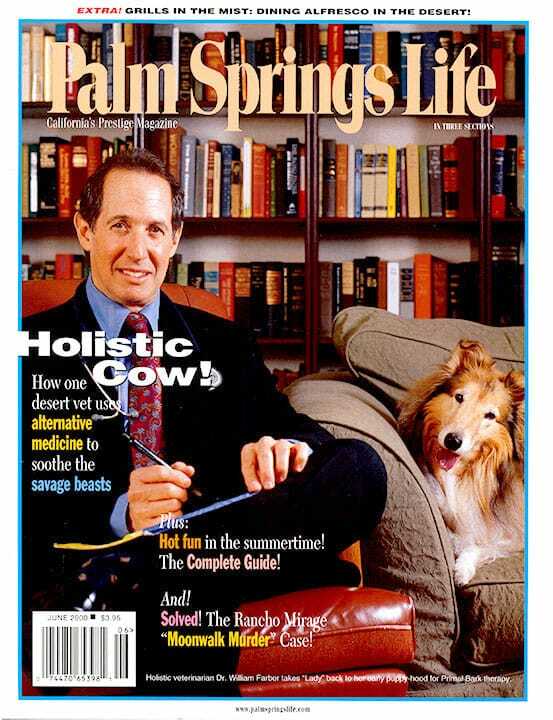 Ms. Rudner, ever game, offered to help us with her sure-fire tips for entertaining. Follow her tips if you like, (they start on page 62) but before you do, scratch us off the invitation list! Photography by Jon Edwards. By Rita Rudner. Photography by Jon Edwards and Rich Kee. 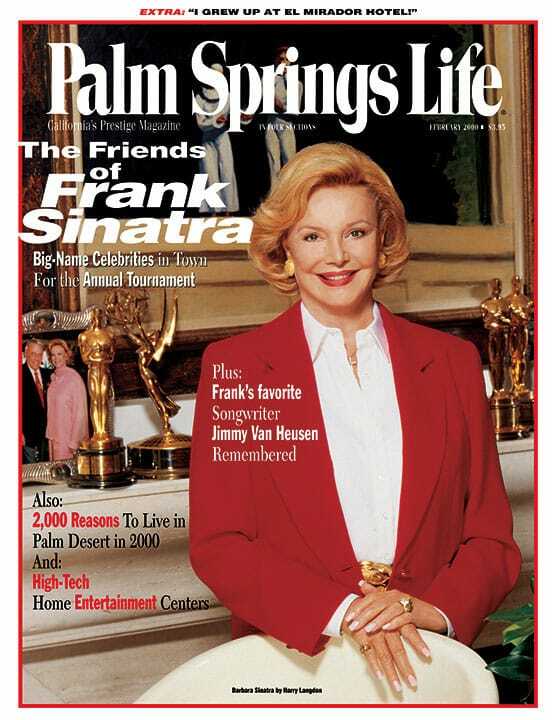 The famed comedienne — and Palm Desert resident — proves one needn’t be Martha Stewart to amuse your guests. By Jean Penn. Photography by Scott Van Dyke. A few spirited desert interior designers strut their stuff. Photography by Scott Van Dyke. Three local experts in flora create holiday wreaths. You could even say they glow. Food Styling by Roland Bieri. Photography by Ethan Kaminsky. Worried about what to serve your finicky guests? Here are some delicious ideas cooked up by one of our favorite stylists. Liqueur packages too pretty to open. Yeah, right. Whip out the checkbooks for this one! A local gallery features famed artists working in precious metal.